Give Mayor Emanuel this: the dude puts in some serious hours—12 to 14 a day, including weekends. He starts most days at 7 or 8 AM and doesn't stop until well into the evening. He can also be counted on to send a string of off-the-schedule texts or make spur-of-the-moment calls at all hours of the day or night, staffers and aldermen tell us. His staffers have joked—at least we think they're joking—that he's ADD. At the very least, the mayor's schedule makers know enough to subdivide his day into short frames. It's rare for a meeting to go longer than 45 minutes—and many visitors get what's called a "stop by," which typically lasts no more than 15 minutes. This is clearly not a mayor who spends a lot of time holed up in his office poring over documents and policy papers. On most days he devotes no more than 30 minutes to what his staffers call "desk time." In many ways, Emanuel's schedule strikingly contrasts with his predecessor's. Richard M. Daley is a Chicago guy, born and raised. Except for his college years in Providence, Rhode Island, he's stayed here all of his life. 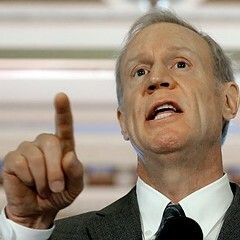 And it shows in the people who had his ear: in addition to pols and big-shot business leaders, his meeting schedule was packed with the ministers of small churches, local school leaders, and owners of neighborhood businesses like the local sausage shop (see "Daley's A-List"). Emanuel, on the other hand, grew up in the north suburbs, went to college in New York, and spent the better part of the last two decades in Washington, first as an aide in the Clinton White House, then as a congressman, and finally, for almost two years, as Obama's chief of staff. Much of his mayoral schedule is taken up by meetings and calls with wealthy out-of-towners, many of whom have donated to his campaign. Indeed, it seems Emanuel has learned from his mentor, President Clinton. Under Clinton, the White House was open to big donors who got to spend the night in the Lincoln bedroom. 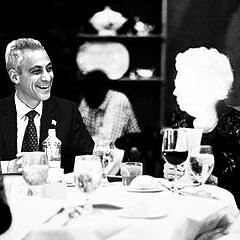 In Emanuel's case, he either invites them into his City Hall office or makes time to hang out at one of his favorite haunts. 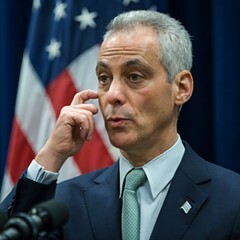 For instance, on June 9 Emanuel met for half an hour in his office with Larry Fink, CEO of BlackRock, one of the world's largest money-management firms. Fink donated $25,000 to Emanuel's mayoral campaign. A spokeswoman for Fink declined to describe what Fink and Emanuel discussed. "No comment," she says. "It was a private meeting." On June 13 Emanuel met for 30 minutes with Howard Gottlieb, a retired partner of the finance company Glen Eagle Advisors. Gottlieb donated $100,000 to Emanuel's campaign. He didn't return our call. By the way, both Fink and Gottlieb also met with Emanuel in the White House during his days as chief of staff, according to the White House visitor logs. Some days, Emanuel meets with more multimillionaires within an afternoon than most of us will cross paths with during our entire lives. On June 30, for example, after the mayor spent 30 minutes in his City Hall office with U.S. Treasury secretary Timothy Geithner, he took 15 minutes to meet with Marc Lasry, the billionaire CEO of Avenue Capital Group, a hedge fund operation. That was followed by 45 minutes with Stephen Ross, a New York-based real estate mogul and owner of the Miami Dolphins. Lasry, by the way, is a familiar face to the mayor. He met with Emanuel last year at the White House, and he and his wife, Cathy, each donated $50,000 to Emanuel's mayoral campaign. "A lot of the people who are contributors are also people who make CEO-type decisions that affect the city and the region, and having those people like you and your city is not a bad thing," says Congressman Mike Quigley, who holds the north-side seat previously held by Emanuel. "I meet with people who have given money to me too, but I also meet with the Salvation Army. 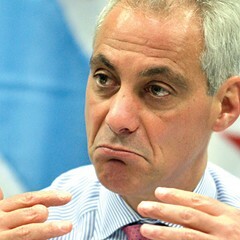 I think Rahm understands that balance." 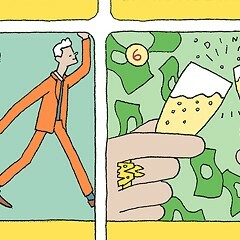 ProPublica reminds us what the ‘old’ Rahm was like. 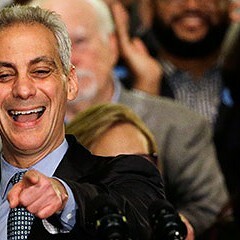 As he prepared for reelection, Rahm Emanuel decided that more and more of his doings are none of your business. Wealthy donors with business ties to the city keep giving to the mayor.